The Ada County Recorder’s Office maintains all documents related to property ownership within the County. The Recorder’s Office does not carry blank documents for recording purposes; however, we can provide notary services on documents that will be recorded with our office. Predictable fees cover the first 30 pages of a document. Documents that exceed 30 pages will be charged an additional $3.00 per page. Our office accepts payment in the form of Cash or Check only. You can search for property records within Ada County using our online search tool. 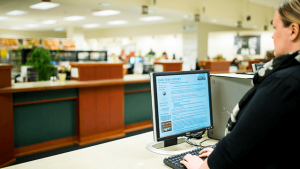 You can find document numbers and party information online; however, if you would like to view the property record in its entirety or receive a copy of the documents, you must come to the Ada County Recorder’s Office during normal business hours.